Whoa! IGTV is here. Being a major new feature on Instagram, you just know it's going to blow up big. Maybe you want to jump right into IGTV, or maybe you're just curious and want to see how it plays out first. Either way, you probably have a whole lot of questions. So let's save you some time, and help you get creating your videos faster. 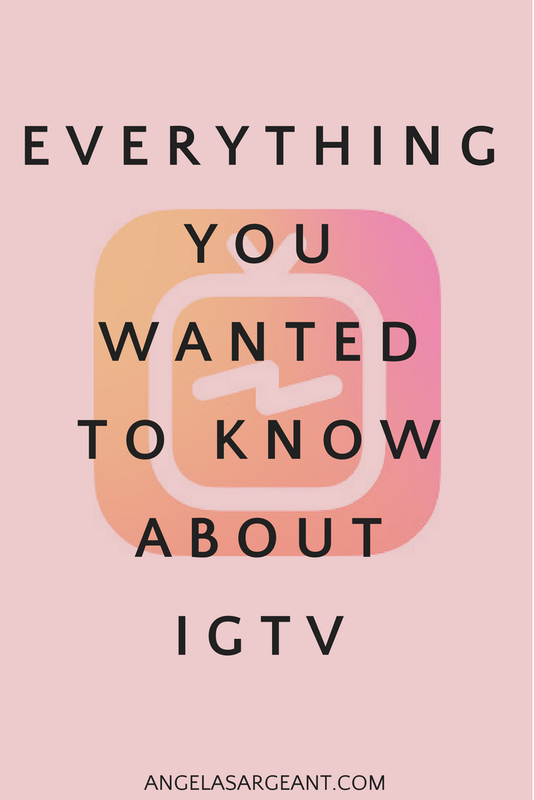 Here's everything you wanted to know about IGTV and more. By the way, to make sure you have the latest information, I'll keep updating this blog post if there's any major changes. What the heck is IGTV? IGTV (or Instagram TV), is Instagram's latest move into video. While we've had short videos on our regular Instagram feeds for a while, and even Instagram Stories, IGTV is a whole different ball game. If there's one way to think about it, it's “YouTube on Instagram”. You create a channel on IGTV and upload your videos there. 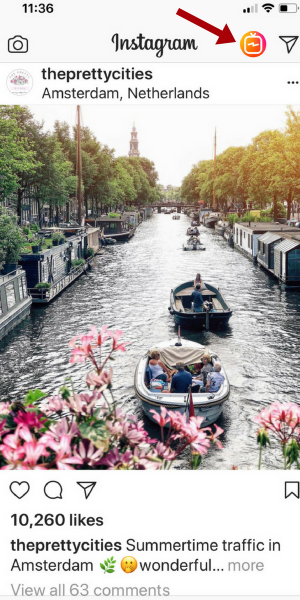 Of course being new it doesn't have anywhere near the features YouTube has, but look out – Instagram is serious about cementing themselves in the world of video. How Do I Access IGTV? There's two parts to this answer. First, watching videos, and second uploading videos to your channel. There's two ways to watch videos on IGTV: you can download the IGTV app to watch videos, or you can watch them within Instagram. IGTV sits both in Instagram and on it's own app. Just like you use Messenger through Facebook, or just on it's own – IGTV works the same. You can be in Instagram and tap on the little IGTV icon at the top right of your screen (as shown in the photo below), or you can use the IGTV app without going into Instagram at all. If you download the IGTV app (which I highly recommend), you can create your channel there, watch videos, and browse more videos. Can I use IGTV on my computer or is it app only? Yes and no. Here's where it gets a little tricky. You can upload from your computer. And people can watch one of your videos on the computer if you send them a link. But IGTV isn't browsable or searchable on the computer as yet. For the full experience, you'll want to download the IGTV app. How do I start an IGTV Channel? Click “Next” and that's it! How can my Instagram followers find my IGTV Videos? Apart from clicking the IGTV button on their Instagram app, there's other ways for your Instagram followers to find your videos. First, it's on your Instagram Profile. When someone visits your profile, they'll see an “IGTV button” that sits between your profile and your photos (as shown in the photo below). Once someone clicks on that button, it takes them to your IGTV channel. Your first video starts playing, and your other videos are displayed below it for your audience to scroll through and see what other videos you have on offer. And because Instagram so wants your videos to be seen, your followers will also get a bright notification bar at the top of their Instagram screen. This shows them you have uploaded a new video. They can then tap that notification and be sent straight to your video. Too good! No! Unlike Insta Stories and Snapchat, your IGTV videos don't disappear. You're uploading them to your IGTV Channel, and they stay there indefinitely. This is brilliant news for Instagrammers who want to make sure they get more value out of the time they spend creating their videos. Can I organize my IGTV videos? While you have a channel on IGTV, there isn't a way to create playlists like on YouTube. Stay tuned though, it's super early days and I forsee lots of updates for IGTV coming up very soon. Yes! And this is huge news. Instagram not only takes the hard work out of sharing your video on Facebook, it actually does it in a cool way. Once you've uploaded your video and are ready to hit that ‘post' button, there's an option there for you to share your IGTV video to a Facebook page that you have connected with Instagram. But wait. There's more. Your Facebook audience don't need to click a link to transfer over to Instagram to watch your video. Your shared IGTV video is playable straight from Facebook! Having your IGTV videos playable on Facebook, is a huge bonus for you. You're getting twice the bang for your buck from one piece of content. Thank you Mark Zuckerberg ? Quick note: Be aware that the “play within Facebook” function only works if you check the “share to Facebook” box at the time of uploading your IGTV video. If you don't share at the time of uploading, you can copy and paste the link to share afterwards, but it won't play on Facebook, it'll simply be a link that takes people to Instagram to watch. Is There a Search Function in IGTV? Since the app is so new, the answer to that is: “kind of”. There is a search function where you can search for Instagrammers who have an IGTV channel. And you can use the search function to type in a keyword, but it only brings up IGTV channels using that keyword. Tip for you: since using keywords in the search function brings up channels, if your keywords are in your Instagram name, then you'll be searchable. For example, if your name on your Instagram profile is Cooking Queen – then your channel will come up if someone searches on IGTV for Cooking. Yes, I know. We're so used to turning our phones on their side to watch YouTube, it's kinda strange to be vertical. But this is what Instagram has chosen. The benefit is that people naturally hold their phones that way, so it just makes watching videos more seamless. Tip for you: Make sure if you're creating a video for IGTV that you create it vertically. You want your video to have a 9:16 ratio. If you create your video on your phone vertically, then you're all good to go and can upload immediately. How long are IGTV videos? Right now, the average user can create videos from 15 seconds to 10 minutes long. Larger accounts can create videos up to an hour, however that hour long video allowance may open up to all users in time. Can IGTV sustain an audience for an hour? That's something we'll need to watch and see how it goes. For now, I feel it's a good idea to start short and see how your audience is responding to your videos before you go the whole hog. You can certainly add hashtags to your video descriptions on IGTV. Hashtags in your descriptions are clickable, and they take you to the hashtag search. However right now, if you search hashtags within Instagram, you can't see IGTV videos there, only Insta Stories. Having said that, there may be an update very soon where that changes. Should I make videos for IGTV? Ummmm… YES! If your audience is on Instagram (and I assume they are if you're reading this post) you should at the very least take a better look at IGTV. Why? 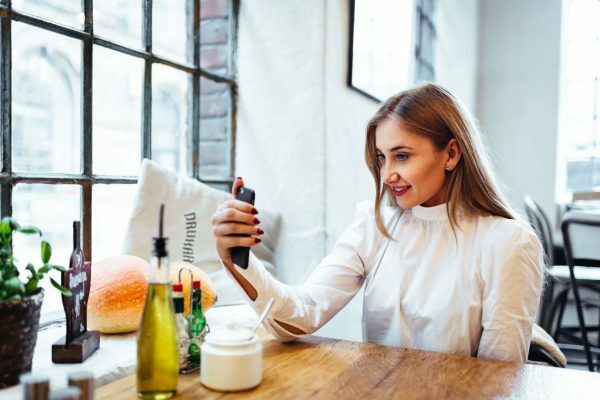 Instagram is a major player in social media – you know they've done their research and aren't going into this blindly. Bonus for you: if you already have an audience on Instagram, they'll start getting notifications that you've posted a video. Instagram is so dedicated to making this work, they're doing their best to get your videos shown to your audience. Unlike starting video on a completely new social platform, at least on IGTV you have a head start with your Instagram audience. So now, you're ready to create your own IGTV videos? I've got you covered with a post on Getting Started on IGTV for Business. I'll take you right through the process of figuring out what sort of videos to create for your business. But if you're still wondering if IGTV is for you, then give me a yell. I'd love hear more about your business and goals and answer some IGTV questions for you. You can book a free call with me here.